Showing up to a car rental lot at 5:30am means that choices are going to be...sparse. Walking around the National "Emerald Aisle," I tried to pick the car that was most appealing to me. 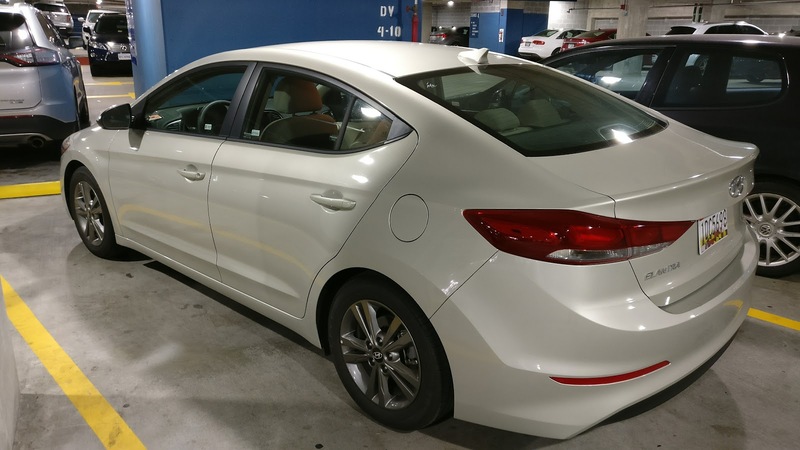 In a sea of dark colored Toyota Corollas, Ford Focuses, and what seemed like the same crossover over and over again, this beige colored Elantra stood out in the sea of dark. Like a light tower shinning in a dark, foggy night, I walked over towards the beige Elantra and took a walk around it. The Elantra, like most vehicles in this class, is not the most exciting looking vehicle ever. These days, everyone tries to make their volume sellers look "sporty" with varying degrees of success. How did Hyundai do? Not horribly. I did, after all, pick it over other rental stalwarts such as the Ford Focus, Chevy Cruze, and Nissan Sentra. Had a Mazda 3 or Honda Civic been available though, I definitely would have picked one of those over the Elantra. Stepping inside, the Elantra pretty much met my expectations of vehicles in this class. Material quality was cheap but serviceable. Hard plastics adorned almost every surface, with the prerequisite bits of soft touch plastic one more touched surfaces. 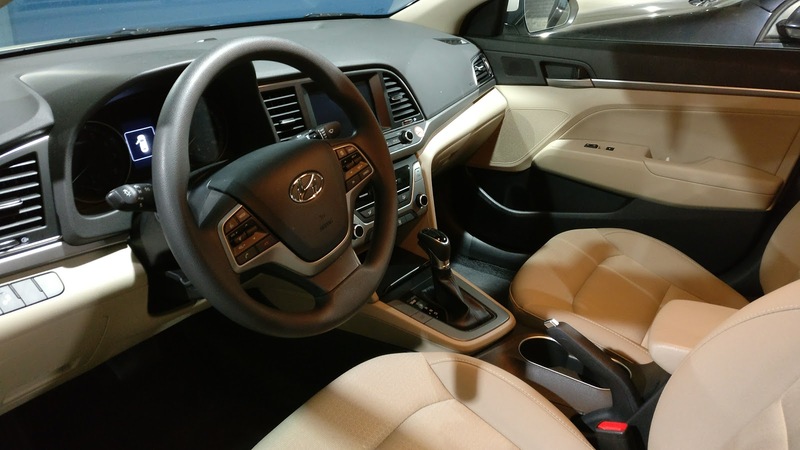 I will say that the interior of the Elantra was better than the typical rental car fare though. 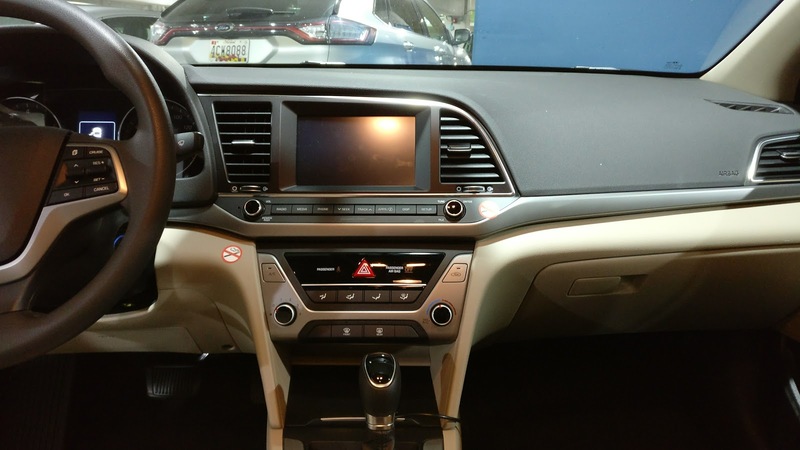 The highlight of the Elantra's interior is easily its infotainment center. It's a touch screen, like what exists in pretty much every car in the compact class these days, but it comes standard with Android Auto and Apple CarPlay, which was a life and money saver, saving me money on having to rent a navigation. It's not a particularly good touch screen, with sluggish response time and slightly washed out colors, but I was just grateful it was there. The driving experience was average at best. 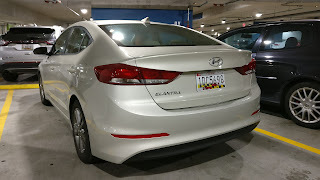 Hyundai's 2.0 liter naturally aspirated inline-4 does an adequate job of hauling the car around. Acceleration wasn't anything to write home about, and handling was definitely more on the side of comfortable than sporty. In fact, comfortable really describes how this entire car was tuned, including its steering and braking. All in all, everything just felt like it was...there. Nothing about the driving experience made me feel excited about getting into it and firing it up. Steering was light, braking was adequate, acceleration was enough to get me onto the freeway at a reasonable pace. I will say though, that the one thing that boggles my mind about Hyundai's vehicles is the "Eco" mode. Almost every other car I have driven with an Eco mode has always tried to fight the car tooth and nail in the name of gas savings. With the Elantra, it doesn't seem to do all that much. The driving experience feels essentially the same, and I didn't notice any real changes in MPG either. In the two days I spent with the Elantra, I initially wasn't sure how I felt about it. Is it a bad car? No, of course not, but it certainly doesn't stand out in any way. On the second night of driving the car it dawned on me. I told my friend, whom I was visiting at the time, that the color of the car sums up quite well about how I feel about it. Yes, it feels "beige." It's definitely a vehicle that serves the purpose of getting from point A to point B very well. The Elantra is comfortable, reasonably quiet for its class, has all the essentials, and has enough power to accelerate onto a freeway briskly without attracting the attention of the authorities. It won't stand out in a crowd, but will cause a head turn or two if its mixed in with vehicles in its same class. In a class as crowded as the compact sedans, you need to do something to make the vehicle stand out. 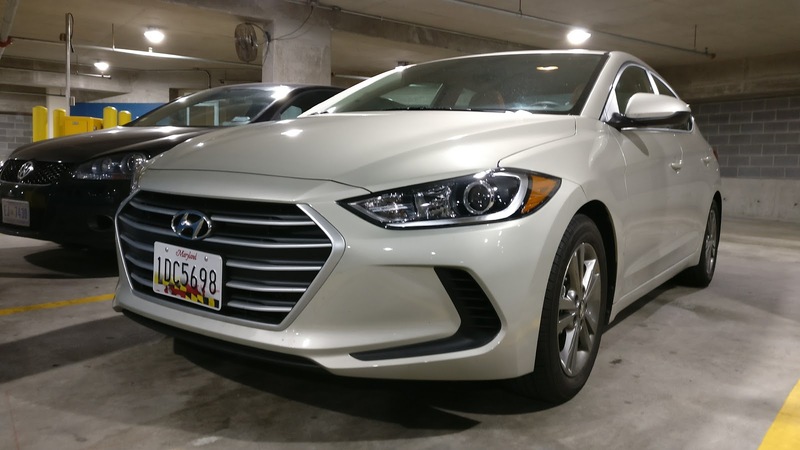 With how "beige" the Elantra is, both in terms of the driving experience and its styling, it's no wonder the Elantra doesn't sell quite as well as its competition. It's "beige-ness," however, does make it the perfect rental car.